Well a sort of rollercoaster month to finish off a rollercoaster year for my nestegg. At one point I was down well over $100,000 from last months report and finished the month down $85,000. 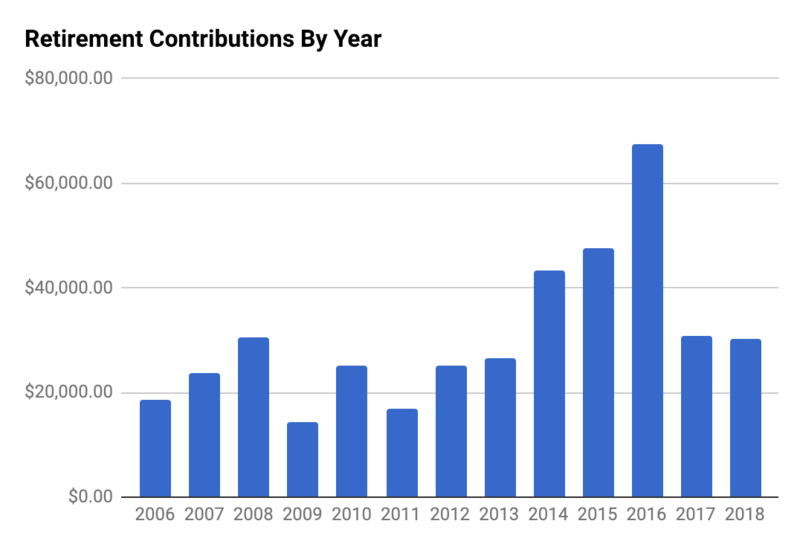 Similarly this year I at one point was up over $200,000 YTD but finished the year up with a $40,000 gain for the year after subtracting out my contributions. Ultimately this year has been a good baseline for me to realize that I’ve passed a certain point where the numbers really don’t mean much anymore. I lost $100k roughly this month and it really didn’t phase me. Likewise being up $100k in a month really doesn’t elicit much more than a that’s pretty cool feeling. Ultimately it doesn’t drastically affect my mood or financial situation that much. 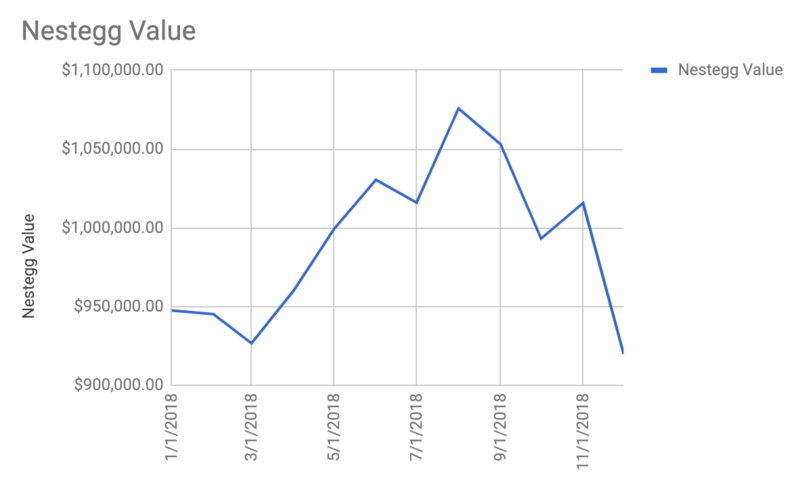 One item that made the down year much more pleasant was that my individual stocks absolutely crushed the market by over 21% and were up a significant amount and it was enough to have my nestegg returns in positive territory despite the fact that the SP500 was down 6% this year. I’m still contributing to my 401k, but once again this year did not contribute any money to my Roth IRAs or taxable accounts. Ultimately my retirement accounts are taken care of and the focus now has been more so on finding a better balance between family time and work time as money ironically isn’t as important to me as it used to be. I am currently proposing a 20% paycut for myself in order to get more time off at work. If that doesn’t work I may look at other career options. Ultimately the nestegg has given me the freedom and flexibility to know that my financial future is secure and I really only need to make enough money right now to cover our day to day expenses while my nestegg continues to grow to a point where working really is 100% optional. Right now I don’t feel like I’m quite there so I just need to find a work situation that allows me to make only as much money as I need which if I completely shut down retirement contributions and rely on my wife’s teaching income may not need to be that much. Nothing too exciting this month other than getting the other comma back. Well my nestegg fell about $60,000 this month, but my investments outperformed the market. While it was a pretty big drop for the SP500 of almost 7% and my nestegg fell over 5.5% this is really nothing but a normal fluctuation. I believe at one point this month I was down over $100,000 and it feels pretty good to be able to lose $100k in a single month on paper and not really bat an eye. My goal some day is to lose $1 million dollars in portfolio value.